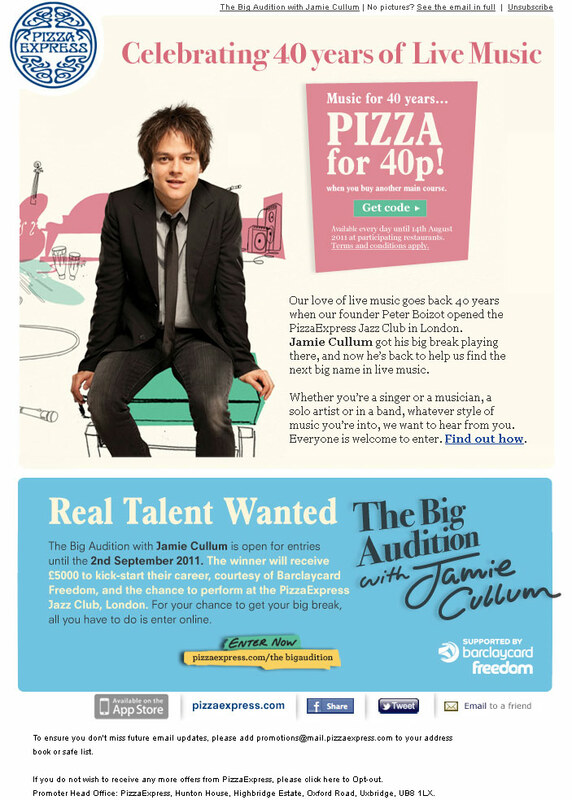 About a year ago Pizza Express sent an email out to their subscribers with a discount code as part of “The Big Audition with Jamie Cullum”. 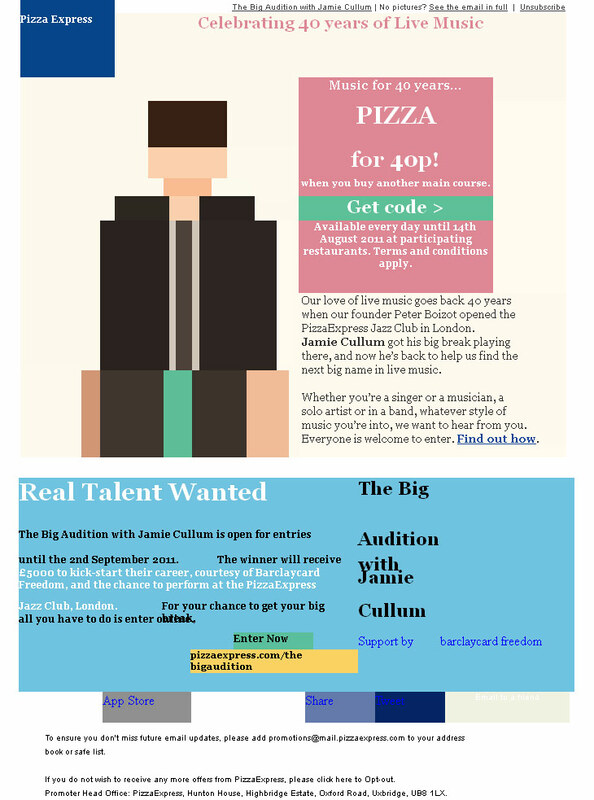 From that description nothing sounds that novel, except whoever makes the emails for Pizza Express did a slightly clever thing with the images off experience. As you can see they did some clever chopping and background colours behind each image in order to leave us with something that resembled the images in a slightly similar way. Personally I didn’t see it go viral outside of my email marketing community but from my point of view it was a nice touch. While it would not have helped much in inboxes like Hotmail who insist on greying out all images, other inboxes like Gmail and Yahoo etc would had a better experience than if they’d just left it as one big image. It’s a slightly different concept than the first one. This time instead of recreating the graphic they’ve done a clever hidden Halloween theme behind the images. 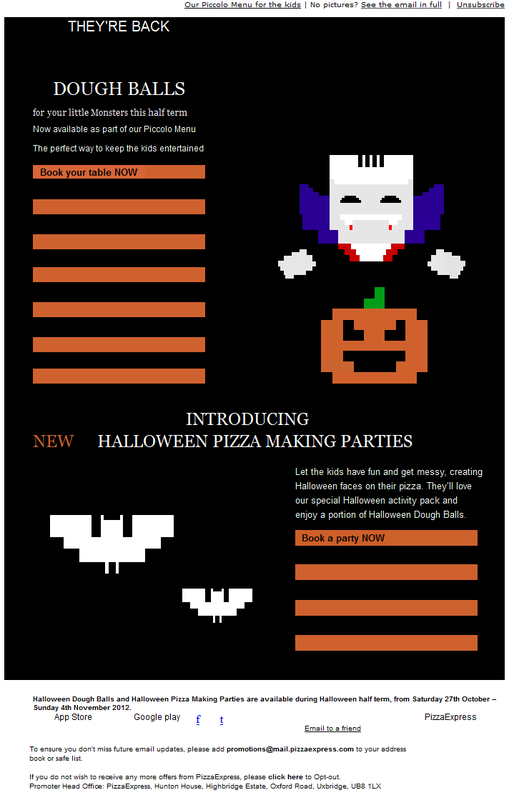 So while the images are off you get a spooky old school pixel graphics Halloween scene. 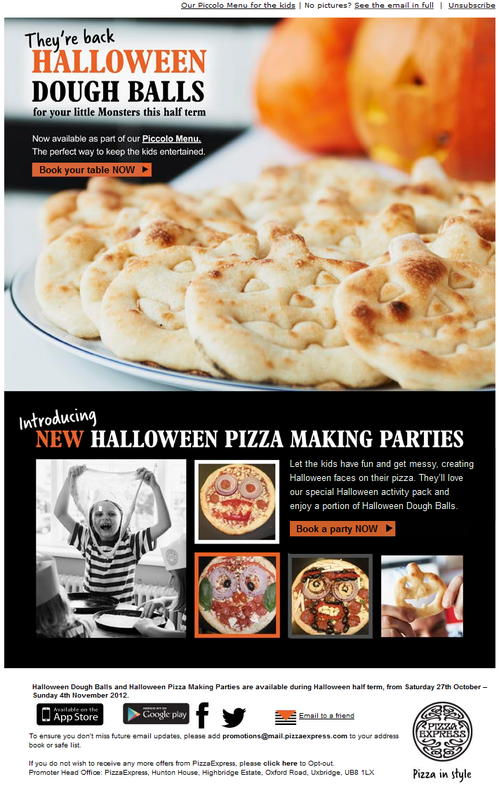 when you load the images all of that vanishes and the recipient sees the advert for their Halloween Dough Balls and an add for their Halloween pizza making parties. This is actually a better concept that the original and far more appealing to me. I would have loved it if they did some sort of A/B testing on the campaign where some people got that images off experience and some didn’t get it, to see if it did actually improve the open/render rate. Well done Pizza Express, I’m looking forward to your Christmas effort. ← Best deliverability check list yet!